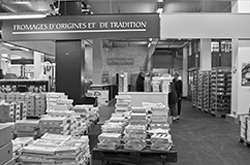 We are located in the Rungis Market. 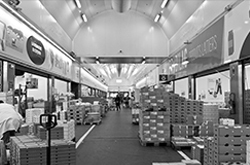 Covering an area of 234 hectares including 72.7 ha of covered space, the market is supplied by trucks, trains and planes (Orly airport is located near the market) from around the world. 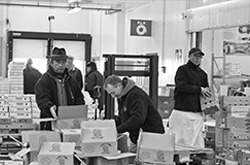 - 2.4 million tons of food delivered. 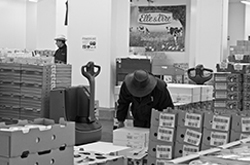 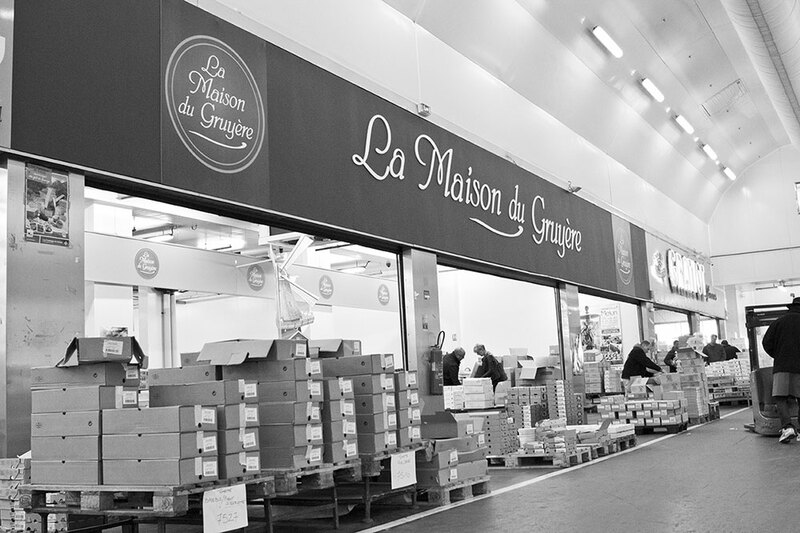 - Providing food for 18 million consumers, 11 million of which are located in Ile de France. 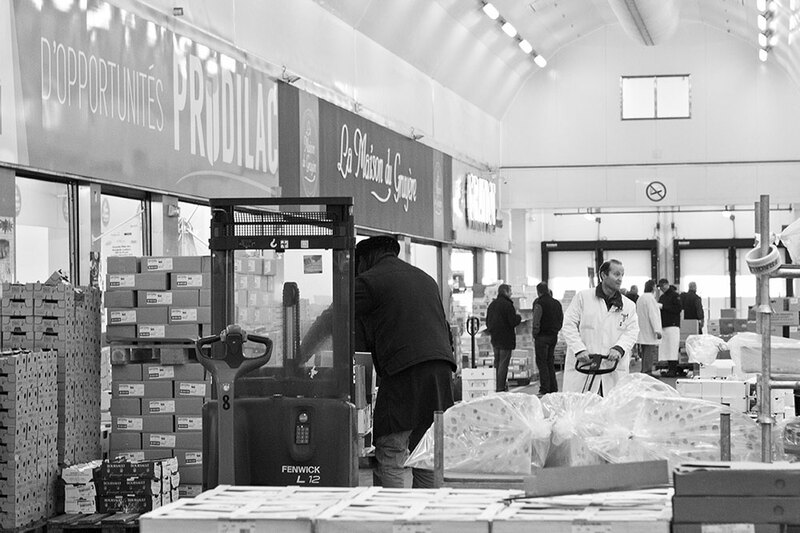 - More than 1,200 Companies are located in Rungis. 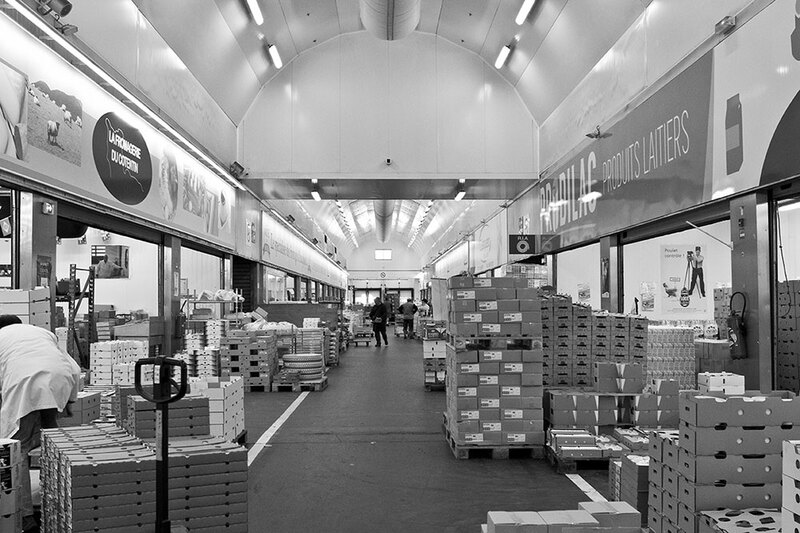 It is also the largest fresh produce market in the world.
" 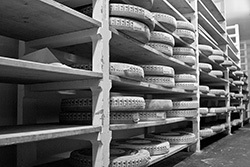 Au Fromager de Rungis .com " is a service provided by the Maison Prodilac located in the Dairy Products area in building D4. Prodilac® snc was founded in 2002 at the time of the merger of Beurlait (dairy product wholsesaler) and "La Maison du Gruyère" (hard cheeses specialist: Comté, Emmental, Gruyere, Cantal, Salers). 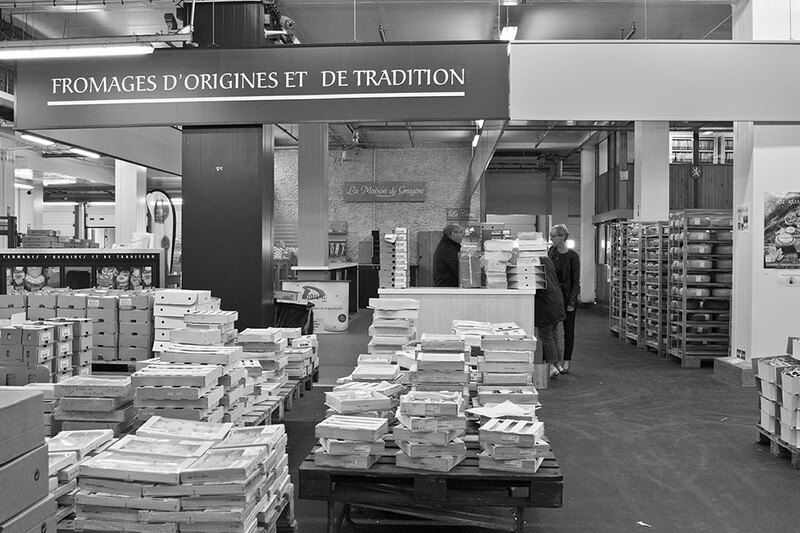 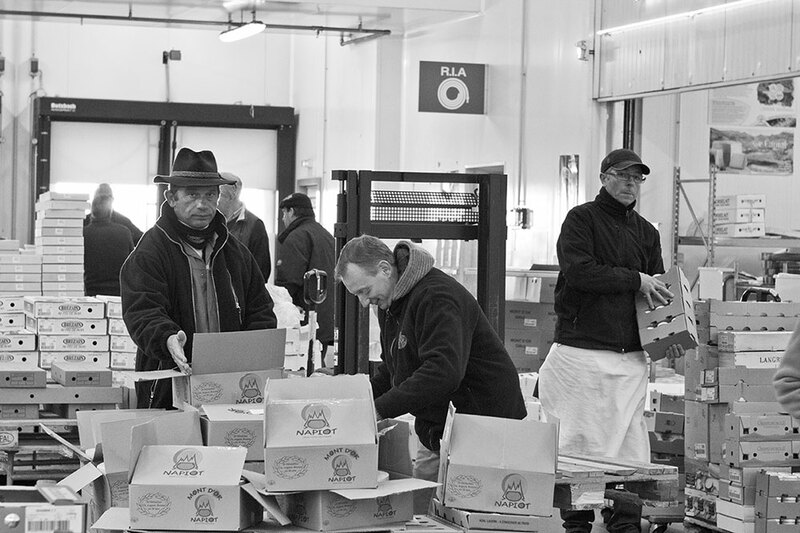 These two companies have been doing business at the Rungis international market since 1969. Prodilac® snc is a major player of the "cheese" pavilions with its wide range of dairy products: milk, butter, cream, cheese specialties and traditional cheeses, eggs. 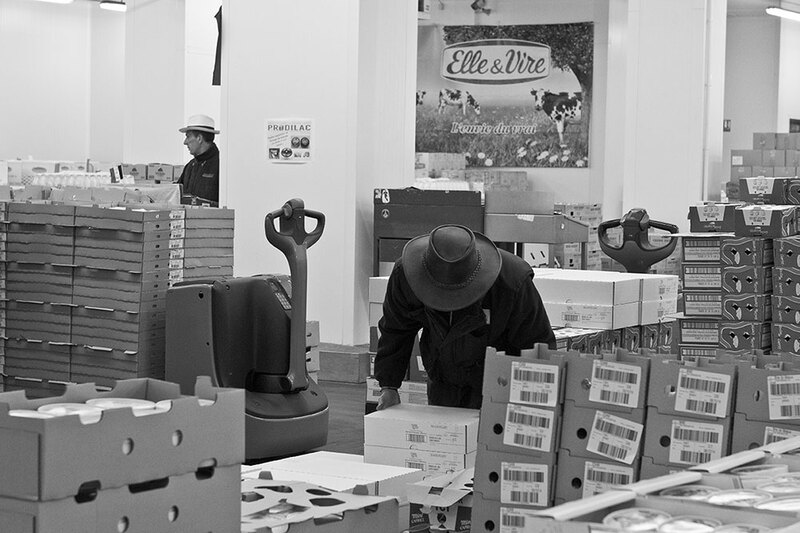 Our desire today, thanks to our strong French experience, is to export our best products. 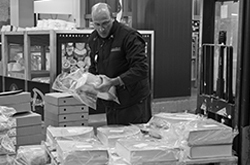 Warm and passionate leader of Prodilac SNC, a major brand of the PLA industry, Antoine Boyer continues the commitment of the company on the path of quality and modernization: This is what they are saying about him in Rungis! 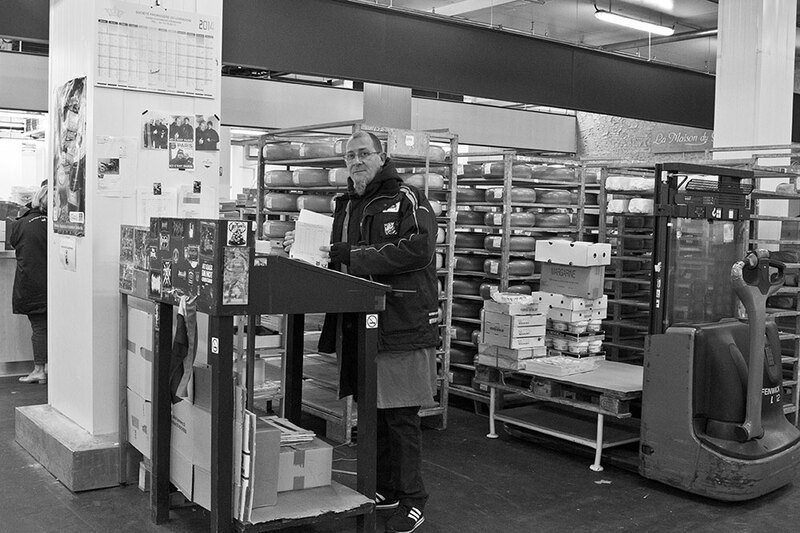 His team of 27 people is entirely focused on the products and customers. 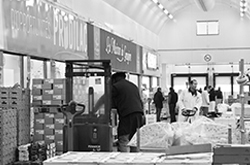 Each sales assistant is responsible for a sales space which has to meet the expectations of buyers. 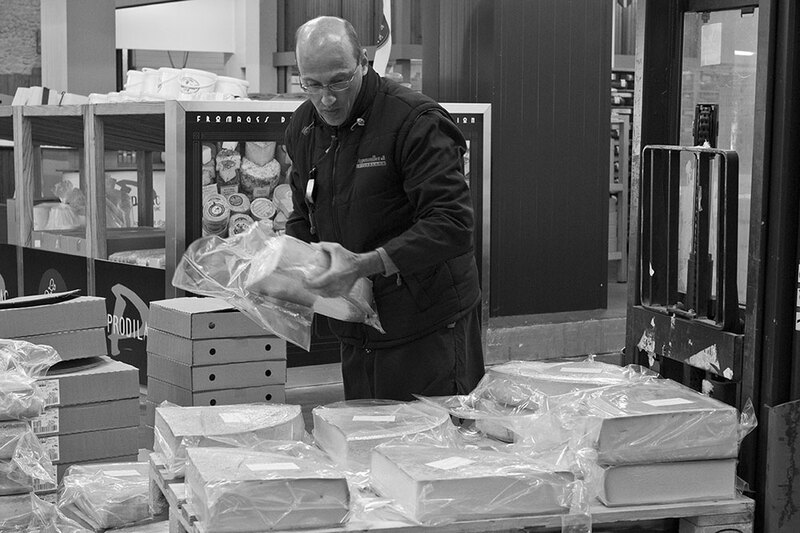 The strength of our team is the training and specialization of each person. Our sales assistants have the responsibility to choose each product they present to their customers and they have at heart to seek outstanding and exceptional products to satisfy them. 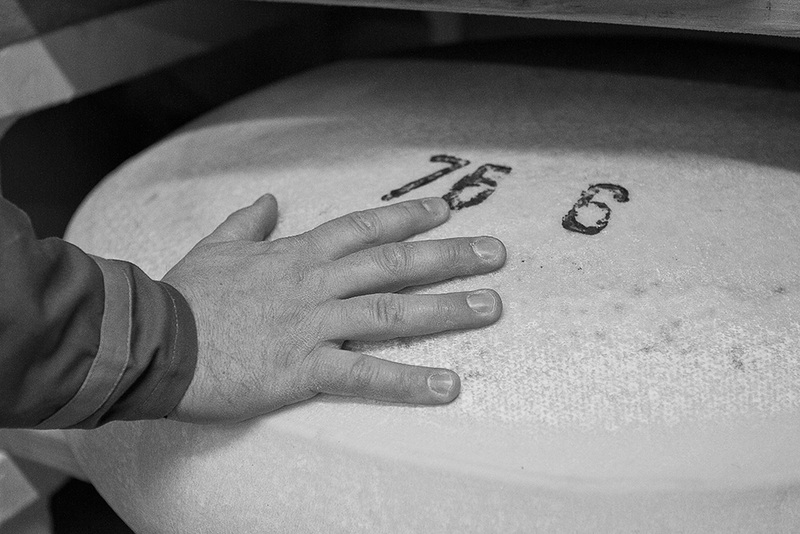 Thus, they develop close working relationships with their producers. 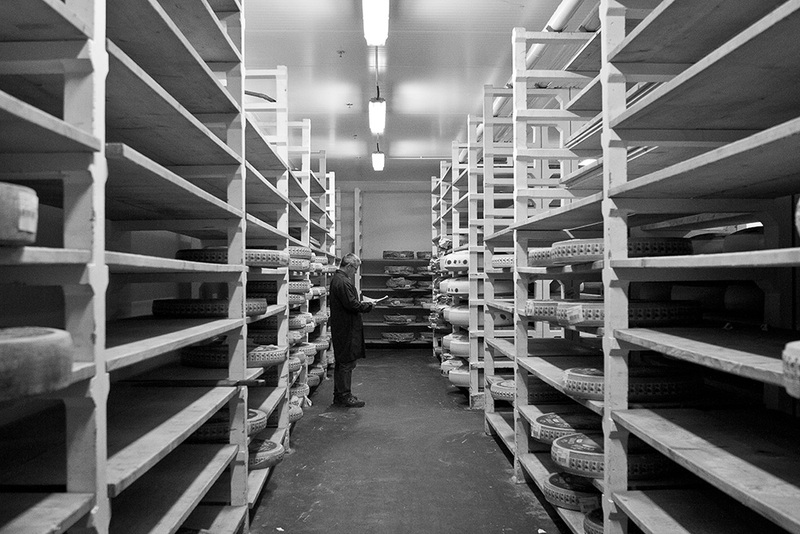 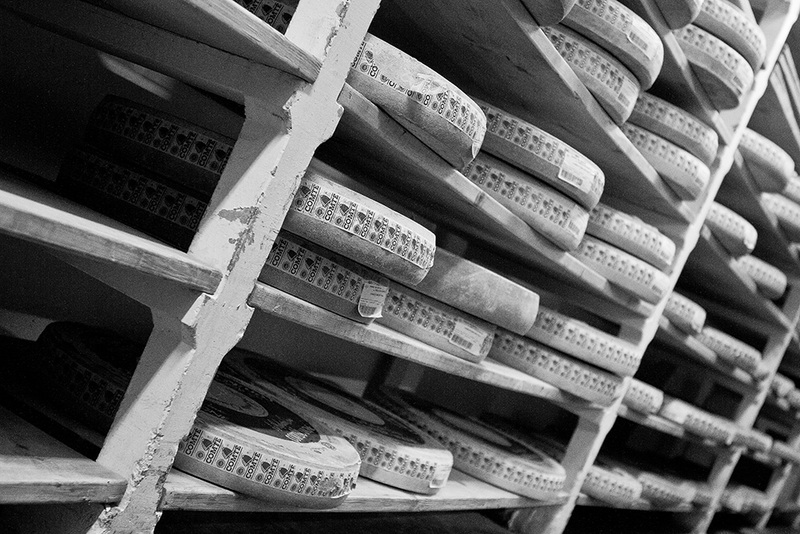 Au Fromager de Rungis.com relies on a major advantage of the home of Gryuere: Its whole cheese cellar, where the best cheeses are gathered together: Comté, French Emmental, Swiss, Beaufort, and Abondance. Our cellar master visits the cheese refiners regularly to select the best cheese: these are crucial contacts in order to select the best products at different times of the year, therefore making “Au Fromager de Rungis.com” an expert at the international level for the distribution of Premium cheese.